When I was diagnosed with myeloma in 1995, the life expectancy for those that were diagnosed with myeloma was 2-3 years, there were no novel therapies, treatment side effects were harsh and not many researchers were excited about myeloma. Earlier this year during the International Myeloma Working Group summer meeting in Spain, I had the privilege of speaking with Dr. Robert Kyle, who many consider one of the fathers of myeloma, treatment. He said, “When I was going to medical school, in a 1700-page textbook, there was only half a page entry about myeloma. It said “prognosis: fatal; treatment: radiation therapy and transplant.” Today, the life expectancy of standard risk myeloma patients is 7-10 years and having myeloma is no longer an immediate death sentence thanks to the 9 (N– I – N – E) different treatments approved for the treatment of myeloma in the United States. 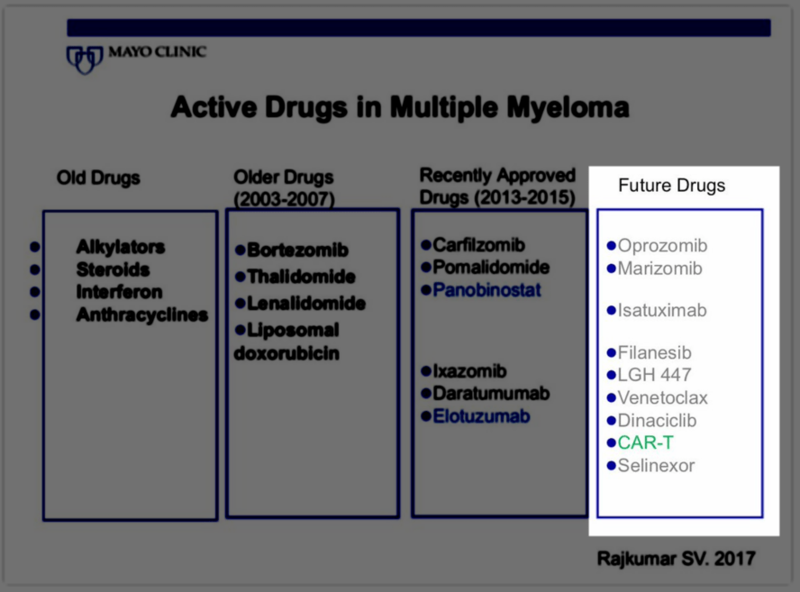 Dr. Vincent Rajkumar recently tweeted out the following slide, showing the drug pipeline for myeloma. What are the best affordable combination of drugs for newly diagnosed. relapsed and relapsed and refractory patients? Can myeloma be cured if treated early? How can we use Minimal Residual Disease tests to guide treatment decisions? How can we increase the time between treatment (TBT) so patients can continue to incorporate myeloma into their lives? 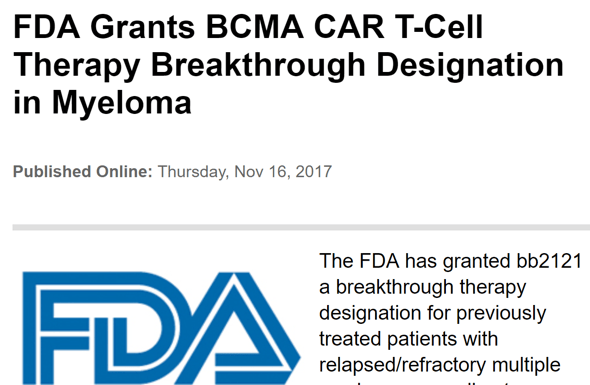 In 2003, the U.S. Food and Drug Administration (FDA) approved the use of Velcade (bortezomib) for the treatment of multiple myeloma. Later in 2006, it approved Revlimid (lenalidomide). 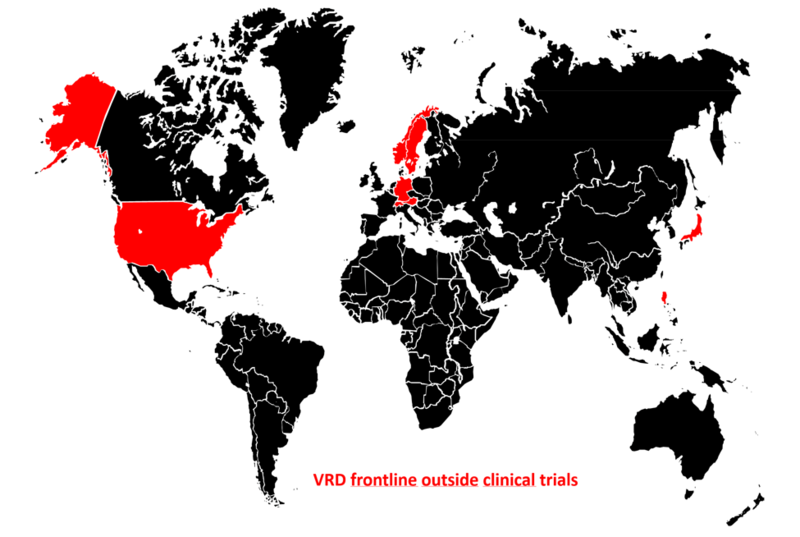 Today, in 2017, there are very few countries around the world where the combination RVd is approved and is used outside of a clinical trial as a frontline therapy for treating myeloma patients. I will be watching for discussions, presentations, and point of views that will address this cost- and regulatory-based access disparities outside of the US. With the FDA giving bb2121 a breakthrough status, myeloma patients may soon have a treatment option that could potentially be revolutionary. What this means is that high risk patients, patients who are running out of options may have another option of treatment. As many ASH’s before, IMF’s Satellite Symposium, IMWG working breakfast, Oral and Poster presentations, IMWG Conference Series webcast, networking and comradery along with sleeplessness are some of the things I look forward at this year’s ASH. This year again, I expect to come home with my head a little swollen from all the information I gather at yet another great meeting.